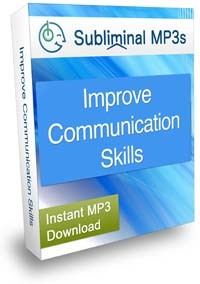 Dramatically improve your communication skills with this mind enhancing subliminal mp3 album. Do you worry about having to communicate, give presentations, or get your point across? Do you worry about what to say to people, or what to talk about? If you are struggling to communicate naturally and effectively, whether professionally, or just socially then this album will help you. It contains simple yet powerful subliminal messages which are designed to to improve your communication skills, make you more talkative, open and more outgoing. Gradually the messages begin to build within your unconscious mind and they spill over into your consciousness to make real changes to your personality - changes to the way you think and act, and your way of communicating. Improving your ability to communicate is a skill which will positively impact upon all areas of your life. It will help you to win friends and influence people, to seem calm, confident, and in control (even when you are not). It will get you recognized as someone who is professional and responsible, and you will start to notice people listening to you and looking up to you in all areas of your life. Simply put, developing your communication skills will give you an advantage in all areas of your life and help you to be more successful in business, your career, and to be seen as a social leader. Notice the worry associated to socializing and communicating is melting away. You will start to loosen up, and speak naturally in the moment. You will discover that the words are coming to you easily. As you will no longer focus your attention on your fear of communicating, your mind will become more involved in the conversations you're having. You will be able to have natural conversations, you will feel comfortable talking to people and they'll be comfortable talking to you. You will be able to talk to strangers just as easily as you do with your longtime friends. Small talk or important business conversations, none of that will be a problem for you. As the messages really build within your mind you will really experience a positive improvement in your ability to communicate; no matter who you are talking to the words will just flow, you will have much more natural conversations, and you will look and feel a lot more confident. 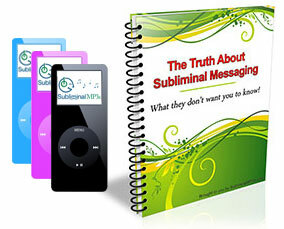 Download this life changing subliminal audio album and start to improve your communication skills naturally and effortlessly today!